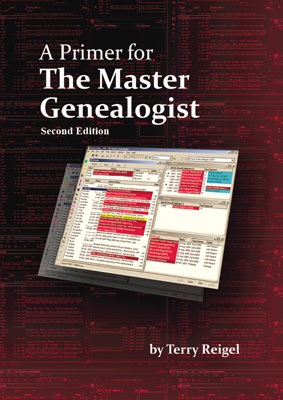 This edition is issued to reflect changes in The Master Genealogist with the release of Version 8. While a substantial number of useful enhancements were included in that release, the majority of them fall outside the scope of Primer. As a result, the changes in this edition of the book are modest. Only a few sections have been revised because the description in the text differed from the operation of the new version of the program. In addition, a number of screenshots have been updated to reflect new buttons or labels on the associated screens. Owners of the first edition may prefer to download and print updated pages with significant changes containing the new material for TMG 8 on our Update page. The Second Edition is available from the publisher on our Buy it Now page on this site . It may also be purchased from the publisher on Amazon.com for shipment to addresses in the U.S. – be sure you choose a listing from ReigelRidge Press. The Australian printing (first Edition) remains available from Gould Genealogy. The book is written for the current version of TMG, version 8. While much of the material is applicable to older versions, a number of useful features described are not available in prior versions. The book is written to be easy to read and understand, with plenty of screenshots so the reader can follow the description even when away from the computer. It starts with the basics. This section explains the basic parts of the TMG's screens. 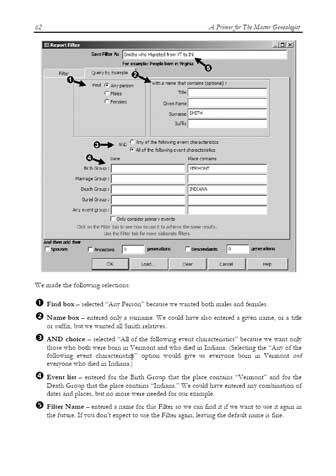 Many of the tasks users undertake are explained in step-by-step fashion, with numbered steps keyed to the screenshots. Here use of the Focus Group to collect a family group is explained. After covering data entry, reports are addressed. There are sections about reports designed to aid research and analysis as well as those designed to share your work. Filters are useful in constructing several types of reports, so there are also step-by-step discussions of that often confusing topic. After covering the basics, there is a chapter on customizing your workspace, including topics like setting up Accents to color-code people of interest. Then there is an introduction to the more advanced topics of Sentence Structures, Witnesses, Roles, and customizing Sources. With a detailed table of contents and a thorough index it is easy to locate particular topics. The book is 164 pages, measures about 7 by 10 inches, softbound. The book is featured in an interview with the author on DearMYRTLE's Family History Hour 25 March 2008 genealogy podcast. The interview focuses on how the book can be helpful to new users of TMG, and covers some features of TMG that might attract users to adopt the program. Check out the interview and the other topics Myrt discusses in the podcast. The author is well known as an expert user of TMG and a frequent contributor to the on-line TMG user support forums. He is the author of Terrys TMG Tips, a website with over 125 articles, many also available in German. He has written several articles about TMG for newsletters published by user groups and two chapters in the sellout book Getting the Most Out of The Master Genealogist. 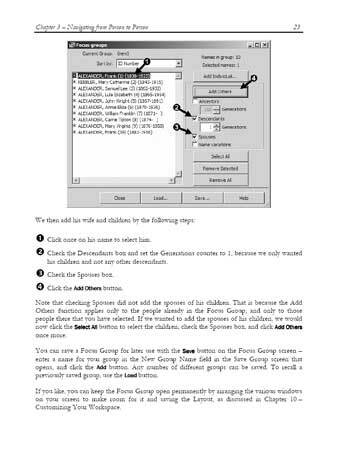 A Primer for The Master Genealogist was written for version 8 of TMG. 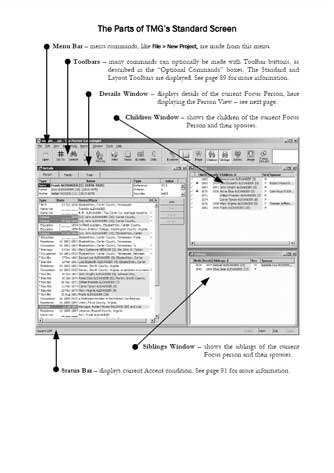 New features and changes introduced in version 9 almost entirely deal with more advanced features and thus have only minor impact on the contents of Primer. The Master Genealogist, TMG, and Wholly Genes are trademarks of Wholly Genes Inc., and are used by permission.